Science Applications International Corp. (NYSE: SAIC) has won a potential seven-year, $861.1 million contract to produce integrated command, control, communications, computers, intelligence, surveillance and reconnaissance platforms and support equipment for the U.S. Navy. The Space and Naval Warfare Systems Center received four offers for the indefinite-delivery/indefinite-quantity contract via a full and open competition on the FedBizOpps and SPAWAR e-Commerce Central websites, the Defense Department said Thursday. 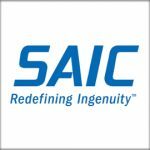 SAIC will procure, fabricate, assemble, integrate test, inspect and deliver C4ISR systems that cover multiple designs along with technical data packages from Navy program offices. Work also covers setting up hardware and software security applications, engineered cable assemblies and mounting kit assemblies designed to help soldiers communicate and obtain information. The contract has a base value of 596.6 million over a five-year ordering period that runs through August 2023 and work could extend until August 2025 if all options are exercised. The Navy will obligate $25,000 in fiscal 2018 working capital funds for the first delivery order under the IDIQ, which contains cost-plus-fixed-fee, fixed-price-incentive, firm-target and firm-fixed-price delivery or task orders.